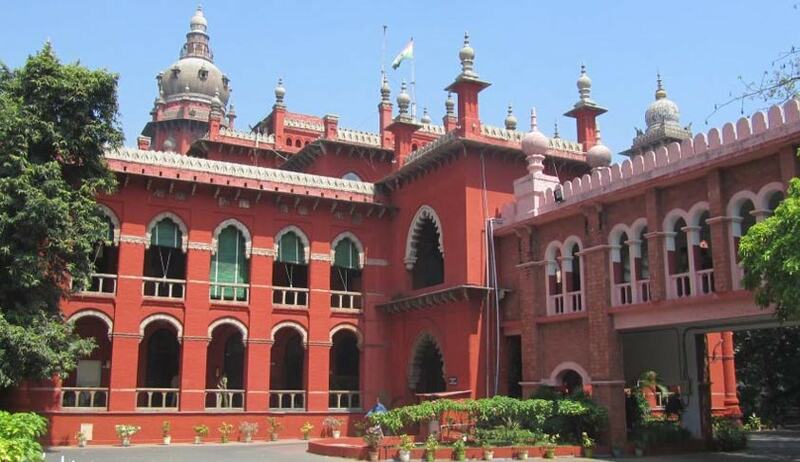 The Madras High Court Advocates Association, in a unanimous resolution, has expressed its “deep” concerns about the newly introduced amendments to rules framed under S.34 (1) of the Advocates Act, by the High Court. Couple of days ago the Madras High Court, had introduced new sets of disciplinary rules for the Advocates through an amendment, enabling it to debar lawyers who indulge in objectionable behaviour. In a notification published on 20th May 2016, new Rules 14A, 14B, 14C and 14D has been added to the existing Rules under Advocates Act. The resolution further reads as follows “These amendments rob the advocates of their self-respect and dignity in the discharge of their function as professionals. Such threat the independence of the legal profession, it invariably also result in being a threat to the very independence of the judiciary as the bench and the bar are two sides of the same coin. The relationship between the bench and the bar should be based on mutual trust and respect and not on fear and suspicion. It is in the interest of the judicial institution that all differences /issues between the bench and the bar should be ironed out through mutual dialogue and not on arbitrary, coercive and one – sided action. The MHAA requests the Hon’ble Chief Justice of the Madras High Court and his companion judges to forthwith withdraw the amendments brought to the rules under S.34(1) of the Advocates Act. The MHAA requests the Hon’ble Chief Justice to call for a dialogue between the bar and the bench and evolve effective mechanisms to identify the key issues hampering the effective functioning of the judicial institution and prepare both short term and along term plans and programmes to amicably settle all issues. The MHAA resolves to convene at the earliest a meeting of all the Bar Association in Tamil Nadu to decide the future course of action in this regard. To constitute and MHAA Action Committee led by MHAA President to co – ordinate and from a wider action Committee of all Bar Association. Decided to conduct a Mass rally on 06.06.2016 calling all bar Association and its members to participate to show solidarity. Decided not to file any Writ Petitions till decision be taken collectively by all Bar Associations. The Madras High Court Advocates Association expresses its deepest concern to the amendments to rules framed under S.34(1) of the Advocates Act Vide (R.O.C No.5645/209/S1) No. SROC – 12/2016 introducing new misconducts and conferring the power to the High Court and the Principal District Judges concerned to debar advocates from appearing before courts. Worse, it provides for the power to debar an advocate as an interim measure pending enquiry. The Association is of the considered opinion that these amendments constitute a serious threat to the independence of the legal profession and will prevent advocates from discharging their duties without the constant fear that any emphatic and assertive argument will result in a judge terming it as “browbeating” leading to their debarment. These amendments rob the advocates of their self respect and dignity in the discharge of their function as professionals. Such threat the independence of the legal profession, it invariably also result in being a threat to the very independence of the judiciary as the bench and the bar are two sides of the same coin. The relationship between the bench and the bar should be based on mutual trust and respect and not on fear and suspicion. It is in the interest of the judicial institution that all differences /issues between the bench and the bar should be ironed out through mutual dialogue and not on arbitrary, coercive and one – sided action.